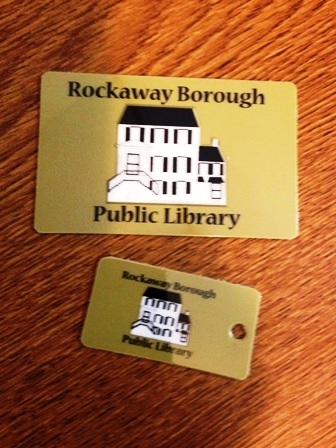 Library cards are issued to Rockaway Borough residents over the age of five with appropriate proof of residency. Patrons ages 5-17 require a parent/legal guardian's signature on the children's card. The cardholder has borrowing privileges at all other M.A.I.N., Inc. (Morris Automated Information Network, Inc.) libraries. Some restrictions may apply. Courtesy cards are for those who live outside Morris County with proof of work in Rockaway Borough. Courtesy cards are issued for one year (renewable) and are valid at the Rockaway Borough Free Public Library only. A replacement fee of $2.00 is charged for a lost library card. 14 Days: Adult NEW Books, Adult New Jersey Books, Adult Holiday Books, Audiobooks, Music CDs, All Children's Books, All Children's Magazines, Parenting Books. If an item is renewable, you may renew through the library's online public access catalog or you may request renewal through library staff. A book drop is located in the front of the building for your convenience in returning books when the library is closed. NO media (DVD, audio, music CD, video game) allowed in the book drop. You will help us keep our materials in good condition for all by bringing media to the circulation desk. Please return your materials on time so that others may use and enjoy the items. Fines are charged for materials returned after the due date. A fine of $.10 per day is charged for all overdue adult and children's items, EXCEPT a fine of $1.00 per day per DVD and $1.00 per day per Video Game on all overdue DVDs and Video Games. In addition, a fine of $1.00 per item is charged for media (DVD, music CD, Video Game) deposited in the book drop. No materials may be borrowed from the library if a patron's fine record exceeds $5.00, according to M.A.I.N.,Inc. policy. Patrons are responsible for all materials charged out on his/her library card. Parents/guardians are responsible for all materials charged out on his/her child's card. Damage, beyond reasonable wear, will be assessed by the library and charged to patron. The price of the item or replacement cost will be charged for lost or damaged items.